If you have followed my social media platforms, you know that pink is one of my favourite colors. However when it comes into clothing, it's pretty hard to find the right color of pink to be fitted with my overall look. 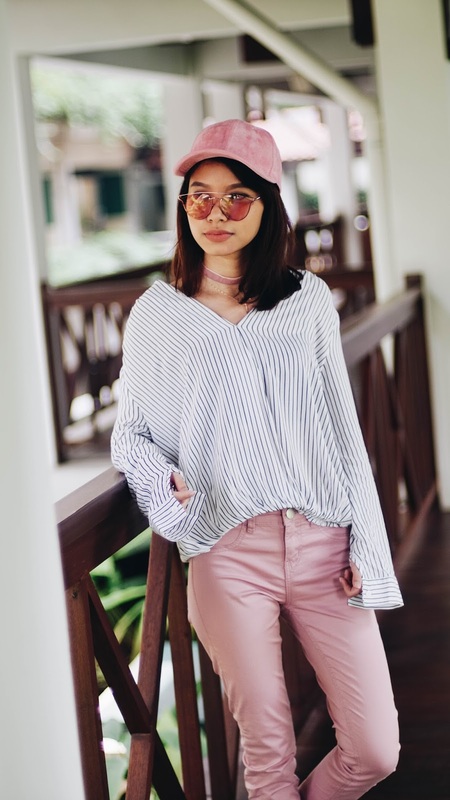 But, I finally found the statement that there is certain type of pink that is perfect to be worn and paired with any other colors, that is Baby Pink. 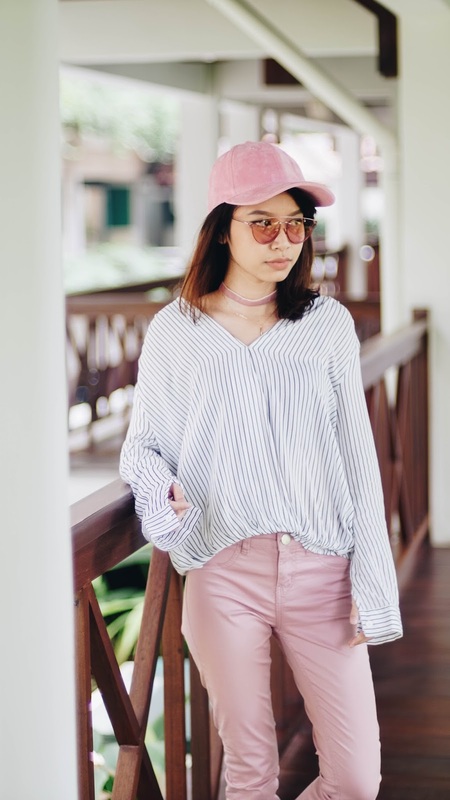 This look I got my baby pink cap, choker, and sunglasses from Zaful.com and I'm satisfied with everything combined in this outfit. 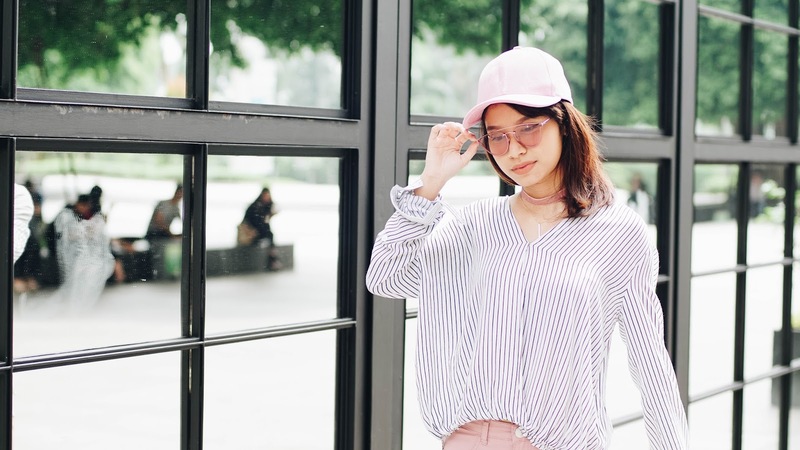 This look is telling that the color of baby pink gives that feminine side but also give that feeling of "pink doesn't have to be girly" at the same time.